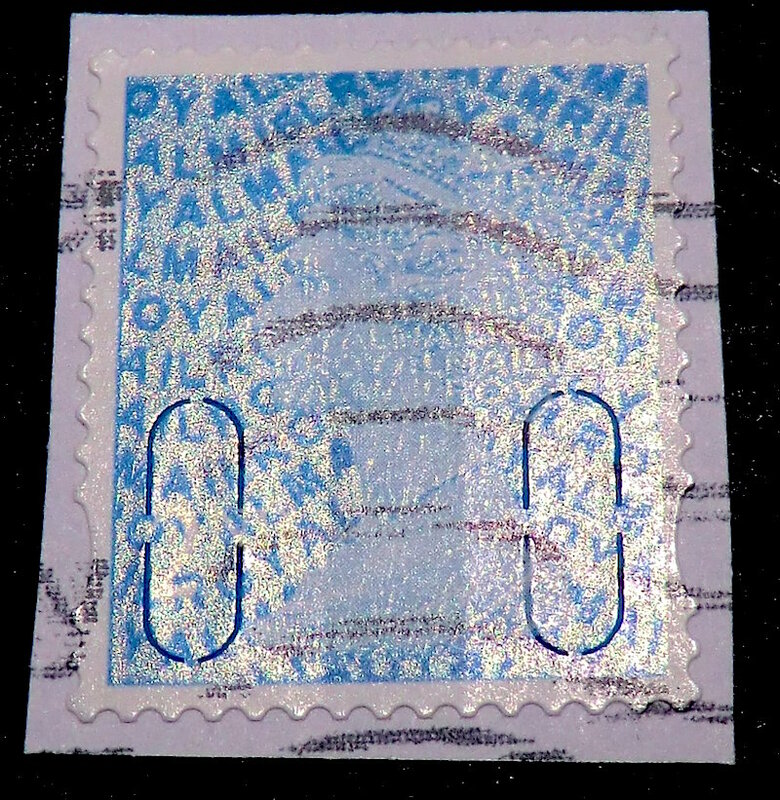 At last the 2015 coded 2nd class coil stamp has appeared. 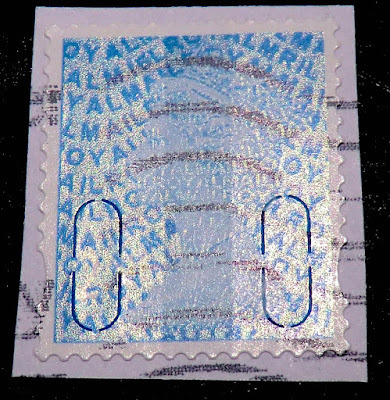 Once again what the industry refers to as Direct Mail and what most recipients refer to as Junk Mail has added to the number of collectable Machin Security Stamps for 2015. Thanks to a reader in Lincolnshire, I can show the 2nd class coil for this year, coded MRIL M15L. 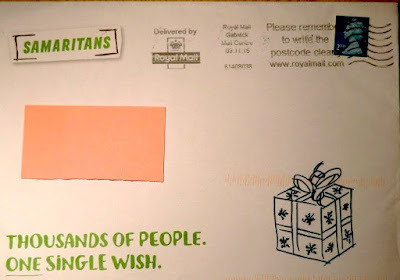 This comes on a mail-shot from the Samaritans posted via Croydon Mail Centre on 3 November 2015. 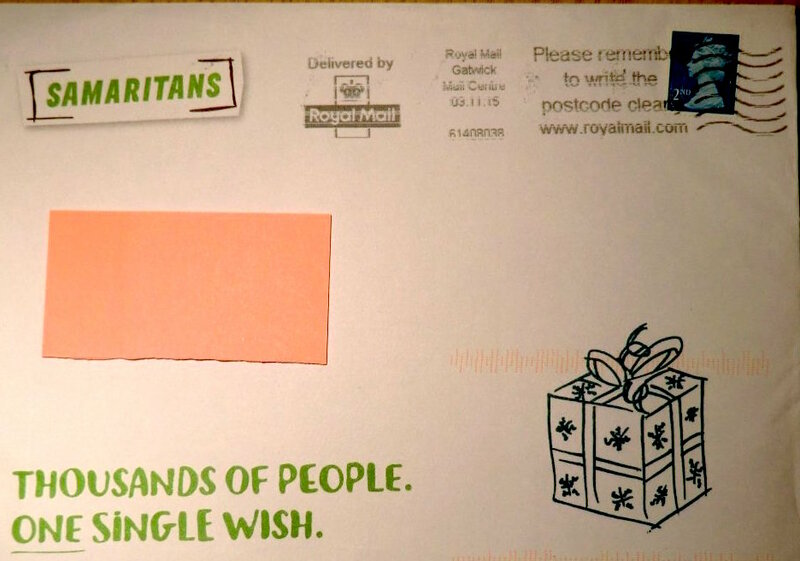 I will, of course, be interested to hear of any other users of this new stamp. 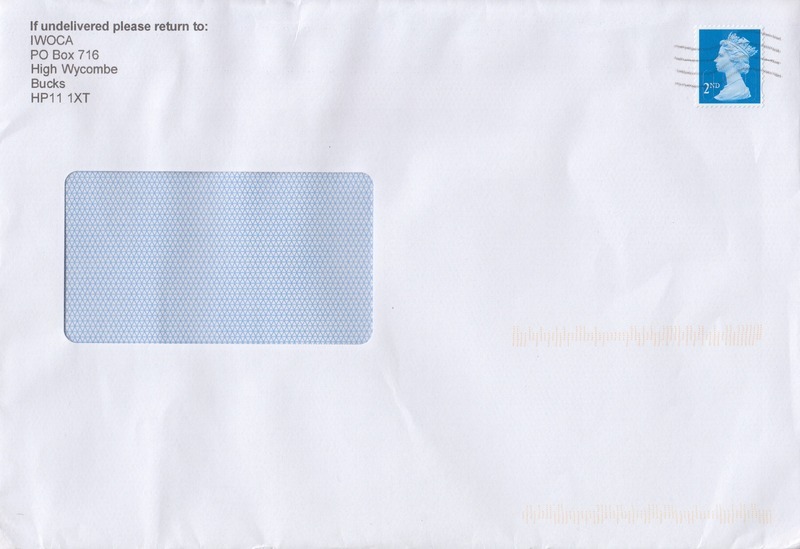 Update: 2 reports of mailings from the British Heart Foundation. You beat me to it! Another from the BHF here.